This is a battery LightingBattery with LED bulbs, the shell has a switch, when you need emergency lighting only need a battery. However, this is only a conceptual design and no physical product has been produced. This design merely adds LED bulbs and wires to the traditional battery structure, which is easy to produce and does not affect the use of the battery. LED bulbs have low power consumption. 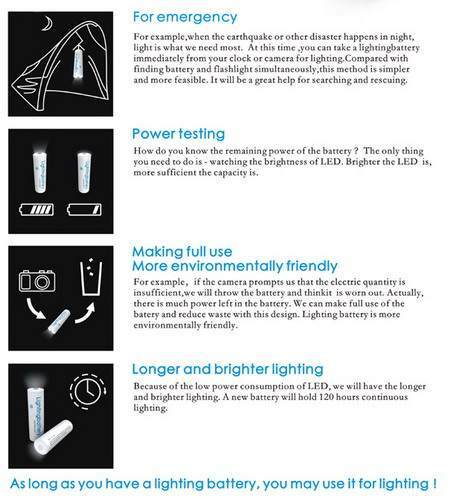 The design of a new battery can last 120 hours of continuous lighting, which is still good. Previous Post: What are the normal operation of submersible pumps?